Independent living without the headaches of home maintenance. Experience a maintenance-free Monterey Independent Living community with so many choices for housing, services, and amenities. Forest Hill’s enviable location is minutes away from parks, tennis courts, golf courses and the popular Monterey Bay Coastal Recreation Trail. Our quiet, friendly neighborhood is within walking distance of the shops, restaurants and attractions of downtown Pacific Grove. Situated on the tip of the Monterey Peninsula between Monterey and Pebble Beach, Pacific Grove is a short drive from Carmel and Big Sur on the picturesque Central Coast of California. There are choices to suit every point of view. Discover the freedom of maintenance-free Independent Living at Forest Hill and many choices in housing, services, dining and amenities. Floor plans of apartments and cottages range from studios to two bedrooms with two bathrooms and optional dens. The five-story Historic Building, built in 1924, has apartments with remarkable character, high ceilings and an abundance of natural light. 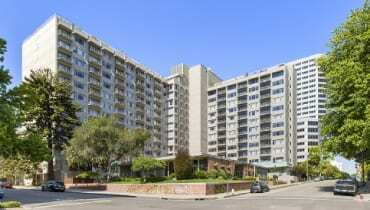 Apartments on the top floors feature spectacular, panoramic views of Monterey Bay. The South Wing and Cottages offer more modern appeal. We are happy to help you choose the option that suits your lifestyle, and you are welcome to bring your pets, too. We are the best choice when it comes to Independent Living in Monterey. Life here is a breeze. The beauty of maintenance-free Independent Living at Forest Hill is that you will never have to mow the lawn or worry about having a kitchen appliance fixed because we take care of these types of tasks for you. We also offer weekly housekeeping and linen services. Making the transition here is easy because we provide up to 40 hours of complimentary move-in assistance by a trusted relocation specialist who will help you plan the move, pack, unpack and get settled in your new apartment or cottage. Experience a Monterey Independent Living Community like no other. We hope you’ve had a positive experience with the level of service offered by Forest Hill Retirement. Please take a moment to leave a review by completing the form below. Your comments are important to us! My Mom is here and she could not ask for anything more. I can’t recommend enough. 10 stars for the staff.